Re the friendliness factor mentioned in Point 2: I try to start all interactions with a ‘hello, good day,’ or some other pleasantry. Sometimes that helps. Nobody really should rush anyway! I almost agree 100%, but you don’t need Starbucks. Coffee Italia is cheaper and better and you get a smile! Not a bad list at all – having grown up in ‘the islands’ – St. Lucia mainly and then lived here, I have never gotten used to the rollercoaster of service – from the best to the worst, but then, like you say, there’s plenty to make up for that! Regards your furniture-changing habits – that’s one thing I LOVE about Barbados – the second hand shops and auctions – so at least you know it’s not going on the dump – someone else will get it for a snap and probably they or others after them will wear it right out! I like your blog very much, certain points about it especially, such as points of the culture that the US can learn from. Very nice. And your characterization of a white Christmas, Barbados-style. You write, “The only thing here close to a white Christmas are the white sands of the beaches and white foam in the waves.” Well done. You’ve got a reader in me; thanks for sharing! Stephen, you are so right. Truth is, I’m not even a coffee drinker (tea’s my usual brew … It’s the idea of what Starbucks is that appeals to me: ubiquitous spots (in NY, one on every corner, I think) that are warm and cozy where you’re amongst other people who, like me, are stopping for a respite from the weather and a warm something to sip. I’m with you on Coffee Italia – on the few occasions I have drunk coffee (in my case, cappuccino) in Barbados, I like theirs very much. I’ll take smiles wherever I can get them! Finola, ha! You’re so right … the secondhand market is thriving on the island and there are some very fine pieces to be had – castoffs from the old plantation homes are often collectors’ pieces, even. I try to comfort myself in the knowledge that even if I tend toward a bit of wastefulness no one else is; my things will always find a good home. I haven’t been to Tapas yet; I’d like to, but we fell out in a large way with Mamma Mia (not the movie; that was great) due to insulting behaviour of one of their people to us, who has now moved to … Tapas. We used to send all of our friends and visitors to Mamma Mia, but they’ve lost out due to his unfriendly manner. You talk about service here, but that was the worst I’ve experienced anywhere in the world. Not holding a grudge (ha ha) there’s too many other great places to eat; NovelTeas (Hastings) for lunch was interesting today, nice food. Hello everyone I hope your all well..? I have to say I speak as I find and maybe you should give Tappas a try Stephen we all have off days (I obviously dont know what went on when you fell out) but we have a saying in England “Dont cut your nose off to spite your face” as I said I can only speak as I find and I have nothing but praise for ALL the staff at Tappas…. I booked a table for some friends who have been on the Island for the last 10 days and they were looked after very well, nice bottle of Veuve on the table on arrival as I requested, a great table and excellent service made for a very pleasant evening…. Another saying we use in Engalnd “Bury the hatchet” (and I dont mean literally) go on you may just enjoy it..!! Regards from a very cold UK. Sorry to hear you’re cold, Shaun!! Time to start planning a visit to Bim. As far as your advice and life philosophy … I raise my glass to you! Here here, well said! Love this post. I am planning to return to Barbados soon myself. Lived in Canada for almost 30 years but you are right we have to learn to adapt back to the Island. There is no place like home- Love Bim. Hey, isn’t homosexuality illegal in Barbados and punishable by life in prison? That’s a pretty important thing to know, I think, and to take into consideration when vacationing or moving to the island. our two young children and do it! The family Sullivan … Welcome (in advance) to Barbados! I’m sure you’ve done your homework about emigrating to the island .. it’s not easy!! But dreams are dreams and I hope you pursue this one and make it real. Nothing in life is perfect but Barbados is a wonderful place in so many respects and I wish you the very best. Contact me when you’re here if you wish. You can e-mail me at PlanetBarbados@gmail.com. We are are in our mid forties and making the move this year with our small children to Barbados as well. I hear it is beautuiful in Barbados but am still anxious about leaving our home to live on a small island. A little sad, no a lot sad, about leaving a wonderful network of fabulous friends and family behind. The kids are super sad right now but I am hoping the schools are great and the people are friendly so they will be able to make new friends fast. We are looking forward the exciting adventure ahead of us. Hoping people will want to visit often. Love this blog and if anyone has any information on setting up in Barbados…schools, rentals, life living on an island I would love to hear from you. Hey Michael homosexuality definitely is illegal in Barbados and you can be arrested for it. However its not strictly in forced. Despite this there is GLBT chapter here in Barbados even homosexuality is still frowned upon especially with the older society. Just returned and as a first timer to the island and visiting one Bajan friend and his American wife, I enjoyed the island without exception. Road conditions are unpredictable, some “attitude” towards outsiders noticed but overall, a pleasant and extremely beautiful island. I didn’t find prices for food, car rental, hotel to be a problem in October. Only one rainy day too. I’m delighted you enjoyed your stay on our beautiful island, Clare. You are right that roads are unpredictable … after living here five years I still get lost on a regular basis and the roads are often curvy and narrow (I feel as though I’m driving thru the countryside in England sometimes). All the best … happy travels to you and hope to see you again on our beautiful island. Im concering relocating to the island. How is the emoloyment sector. I have a bachelor’s degree in the line of social work. Also, is the cost of living expensive? I have just returned from Barbados and cannot wait to get back! I have a quick question, if you don’t mind? I am interested in investing in a rental condo. Did you find the process to be difficult? I’m really glad you had a great time in Barbados, Gwen. Isn’t Tapas great? The location on the boardwalk is so ideal, too. I have many opinions and experiences about buying investment property in Barbados. I could write a long dissertation on this topic – but suffice it for now to say that it IS possible, it IS do-able, but you need to exercise patience and and work with good people in Barbados. I can refer you to agents I know and trust and as far as the rental market goes, you are welcome to ask me questions in this regard as you encounter them. Best of luck to you. 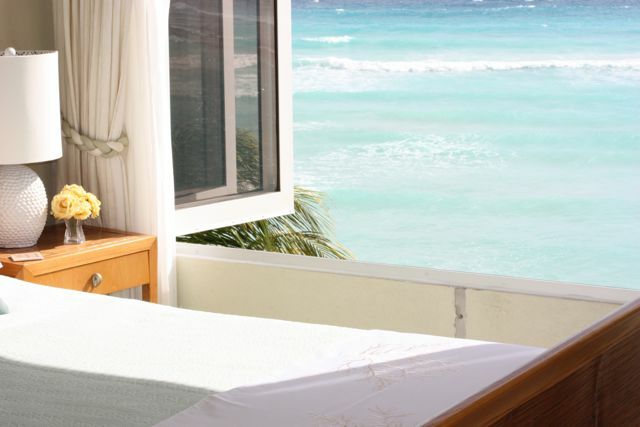 On your next vacation in Barbados, you might want to set aside some time to look at properties that are for sale. Again, I can refer you to agents who can help you. Hi Jane and everyone who has posted a comment. Its great to be able to get insights on Barnados from those who have first hand experience. I am interested (my dream) in living in Barbados for half the year. As a Canadian, I have to admit I still love our summers, but when it comes to winter, I’ve put enought time in here dealing with it. Time to enjoy 5 to 6 months of perfect climate and then enjoy a Canadian summer. So I seek to either find a good longer-term rental, or would consider buying a condo or property for myself. I assume from what I’ve been reading that I will require a good (read: trustworthy & professional) attorney on the island. I will be coming back for an investigative visit in a few months. Any ideas you may offer on what to do with my time relative to pursuing this dream would be greatly apprciated. I am a big believer in referrals from those who have been well-served. Like anywhere in the world (Canada included), you can always find a less-than-optimal resource. So I’d rather skip that lesson by listening to those of you with experience. Thanks in advance for any pointers you may have about what first steps to take in working towards the reality of this dream! All the best to all of you from (slowly warming) Canada! Hi jane. My husband and I have been talking about permanently relocating to Barbados. I have been reading things regarding citizenship , residency, working , etc. I am a registered nurse but I stay at home now and homeschool my two youngest. Have a 15 yo son as well in public school. We were thinking of starting our own business in Barbados. I thought we would be able to pack and leave but I see the process is much more involved. As US citizen can you have dual citizenship with Barbados ? What is home schooling like ? How are we able to start a business there if you are not allowed to work until you get your legal papers? must I have dual citizenship if Ivwant to live in barbados and rent. Also how do I get dual citizenship …where is the best place to live? should I buy a car abroad before relocating.. So many good questions, Lynette. With respect to citizenship, you need to check with your country to see about dual citizenship (also see here: http://www.dualcitizenship.com/countries/barbados.html). As for how to get dual citizenship, check with your country as well as Barbados immigration. For general info about immigration and citizenship, check here: https://en.wikipedia.org/wiki/Barbados_nationality_law. Where to live? You need to visit and see which areas you like. Each coast has its own particular magic. No, do not buy a car abroad and have it shipped over – the duty is very high. While cars are expensive in Barbados, it’s much easier to buy one on the island than to import one. Citizenship isn’t easy to obtain; if everyone who wanted citizenship in Barbados were granted citizenship, we’d have three million people on our little island! Good luck to you. I live in Pennsylvania, US, and and desperately trying to locate a source to purchase “Barbados Tar.” I am not entirely certain as to what exactly it is or similar to, but is an essential ingredient to an old linament recipe that has been passed down through our family. Are you familiar with this and is it locally available on the island? Any info you would be able to give would be greatly appreciated! Thank you so much! Bryan, hi. Thanks for writing. I have never heard of Barbados Tar. I asked my Bajan husband and neither has he. I know there are many old recipes for health remedies that are passed down through generations — just yesterday a friend brought over a mixture of garlic, lemon, ginger, and some other things in a jar for my husband’s head cold. I think it helped him because he woke up feeling better. If you find the Barbados Tar ingredient and a recipe for the liniment, let me know. Hi, I’m just about to come to the island for six month’s with my Bajan husband and 9 year old daughter. We’ve been many times before. This is a ‘taster’ session for me to see if we want to live in Barbados. I’ve sorted a school – St Gabriels in St Michael! I’m a bit worried that I won’t meet any fellow Brits. (or others) whilst I’m there and wondered if there is a meeting place that xpats go to meet? Any ideas? After so many trips back and forth… I’ve finally decided to give living in Barbados a shot… I live in America and consider myself to be an East Coast City Girl… my hubby lives in Bim and we have been together for five years.. I’ve had so many reservations about making this move because the biggest question I keep asking myself is what am I going to do during the day with all this free time on my hands… I’ve always worked full time, school, volunteer and had an active social life. I know in Barbados that I’m unable to work…and I believe that will include volunteering as well….so I will blog and continue to write hoping that I will be able to find my niche….. and not have to give up to many of my city ways :-)… I am realistic coming from a West Indian family and spending the last five years visiting that it will be a change for me. My family (husband, 4 boys and myself) are have decided to relocate and Barbados is at the top of our list. My husband is hoping to find a teaching position (he is currently a high school teacher), any idea on how hard it is to get a teaching position? This is response to the comment of Bryan Boone Jr. who is looking for Barbados tar. I doubt you can buy Barbados tar though many years ago, various tars and asphalts that seeped out of the ground were regularly sold through pharmacies. Before pharmacology got all so very scientific after WWII, tars and oils from natural seeps were sold for various topical ointments and salves. That someone once sold tar from Barbados comes as no surprise to me. There are natural tar seeps along the northeast shoreline of Barbados, in the marine sediments that are exposed on the coral cap that covers most of the island. When I worked on Barbados back in 1982 doing geologic mapping as part of a research team from Northwestern University, there was just such a tar seep just on the other side of the old railroad grade from the beach, which I will never forget because it was the site of an underground fire. Underground fires are almost impossible to put out so it’s probably still there and still burning slowly. Now, my assigned area for mapping on the island was between Codrington College and shoreline to the north. If my memory isn’t totally out of whack, the tar seep was somewhere along the beach between Bath on the west and below Sealy Hall/St. Mark’s to the east. The folks who had houses along the beach had a name for tar seep – something like ‘Burnt Hill’, or ‘Burnt Bluff’, or ‘Burnt Knoll’ or something like it. You could always smell it when you were within 50 yards or so from it. Now, this was a long time ago for me and I just can’t remember all the details anymore. It’s possible I am remembering the location incorrectly (though it’s certain it was southwest of Bathsheba which is where we had rented a house, and north of the point with the big lighthouse). Barbados has a government office for oil – they probably know where all the tar seeps are on the island. I will try to find my old mapping notes from where they are buried in storage to confirm the location – but they are in another state so it will be awhile. After a recent visit to Barbados, I fell in love with the island. I think I may have also met the love of my life while I was there. I want to work and live in Barbados. I am not ready to retire yet I am concerned about how hard it would be to find employment . I have been reading as much information as I can about getting a work permit. Does anyone have advice on how hard/easy it is to apply for a work visa, or any advise? Any advise is much appreciated. Hi! Just came across your blog while doing a Google search. I came to Barbados for CropOver this year and loved it! I have been wanting to relocate from the US for a while now and Barbados has been high on my list. I am planning to make the move in August 2018 as I plan to have a job where I can telecommute and start living the island life. I wish the best to everyone looking to make a similar move! For all the people who are inquiring about jobs, please note that jobs are incredibly difficult to get here, so be sure you already have a job secured before you move. The cost of living is incredibly high, so be sure that job is a good-paying one. It is no falsity that a lot of people here are overworked and grossly underpaid. Not to mention nepotism runs overwhelmingly rampant here, so be wary of jobs that have brothers, sisters, aunts, uncles, daughters/sons and mothers/fathers working there, as there’s a HIGH chance promotions will go straight over your head. It doesn’t matter how hard you work, you will never win competing against a son or brother. Again: Be sure to secure a great-paying job BEFORE you relocate, and most of all, PLAN. I know living in the Caribbean might sound fun and awesome, but bear in mind that we do not have any Costcos or Targets or Walmarts. Not bargain stores. Nothing is cheap. Things here are ridiculously expensive. If you’re used to paying $1 for something in the Staes/UK/CA, be prepared to pay four times the amount for it here. If money is not an issue for you, come on then, this place is paradise! For the commenter “Piere” who wanted to know if his wife will be bored, it all depends on what she finds entertaining. The island is mellow and laid-back, people here love live music and good food. A handful of clubs but not many. Lots and lots of water/beach activities for sure. If your wife is fast-paced, fussy, picky and likes wild, crazy fun, then this might not be the place for her. They’re all about live music, good food, dance and beach fun here. This was a great post. My wife and I are considering retiring some where in the islands and are coming to Barbados this Christmas to look the place over and do some scuba diving. Us Americans need to take a step back and think about how spoiled we really are. I have been to beautiful third world countries that rely on what they have and I enjoyed every bit of it. They care about the environment and live life simpler and use what they’ve got and are thankful for it. Are we? Sometimes I get so tired of worrying about all the cush things I have here. So when I go to places such as this, I enjoy not worrying. I turn my phone off and use my computer less. Give up Starbucks, give up all those things that make your life more hectic and just enjoy what’s around you and see how beautiful it really is. I want to lean towards the more simple life. No heavy traffic to get through. No worrying about fine sheets and what anyone is going to think about what I’m wearing, or rushing to get back to whatever it is I’m up to. I wish we could all feel the same about these things but alot of us are spoiled on what they have now and that’s sad. People in places like this know how to live life simpler, more peaceful and are at least being less eccentric than us Americans. Xana, hello. This is all extremely well said and very very good advice. I am asked all the time what it takes to move to Barbados and I respond in similar words as yours but you put it all together so succinctly. Thank you. I love Barbados, have lived on the island ten years now, but when you live in a place the “paradise” aspect takes its position alongside all the downsides you mention: high cost of living, difficulty finding goods and services, difficulty finding employment, etc etc. Thanks for your input. Well said.